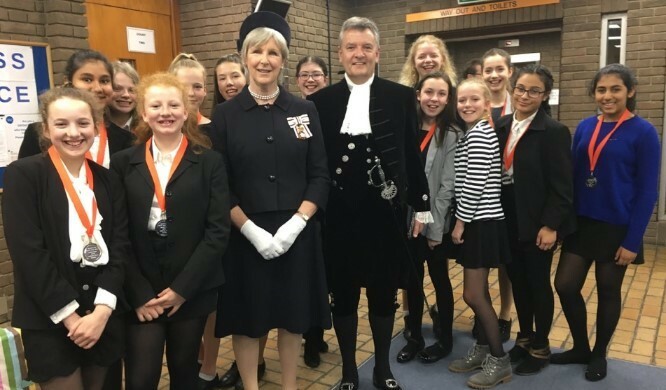 HM Lord-Lieutenant Jennifer Tolhurst and HM High Sheriff of Essex Bryan Burrough with schoolchildren at Chelmsford Crown Court. The schoolchildren had been conducting and prosecuting mock trials. 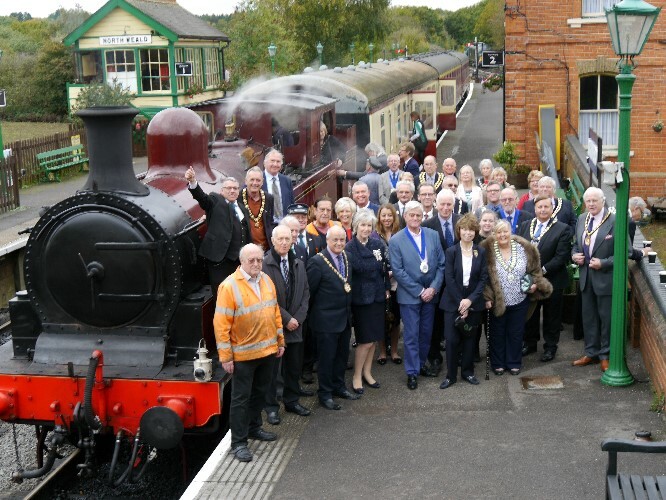 The Lord-Lieutenant with Mayors and Chairmen at North Weald steam train. Diana Doe, the sister of Gunner William Doe, receiving the Elizabeth Cross in his memory. 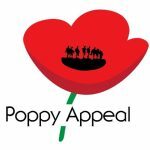 Gunner Doe died in Cyprus on October 28th 1956 when the vehicle he was travelling in was hit. This page offers guidance on matters of protocol, precedence and ceremonial issues where the Lord-Lieutenant is invited in an official capacity and where a member of the Royal Family will not be in attendance. Please be aware there is a separate protocol covering Royal visits. Advice should be sought from the Lieutenancy Office. When the Lord-Lieutenant is represented by the Vice Lord-Lieutenant or a Deputy Lieutenant he/she should be accorded the same protocol as for the Lord-Lieutenant. Please note that Deputy Lieutenants should not be referred to as Deputy Lord-Lieutenants but simply as Deputy Lieutenants. A parking space should be reserved for the Lord-Lieutenant’s car as near as possible to the point where she will be received. Please feel free to notify the local media that the Lord-Lieutenant will be attending your function. However, there is no guarantee that the event will receive press coverage. The Lord-Lieutenant may well ‘tweet’ a message with a photograph if one is available. Where appropriate, pupils should rise upon the Lord-Lieutenant’s entrance and again when she leaves. 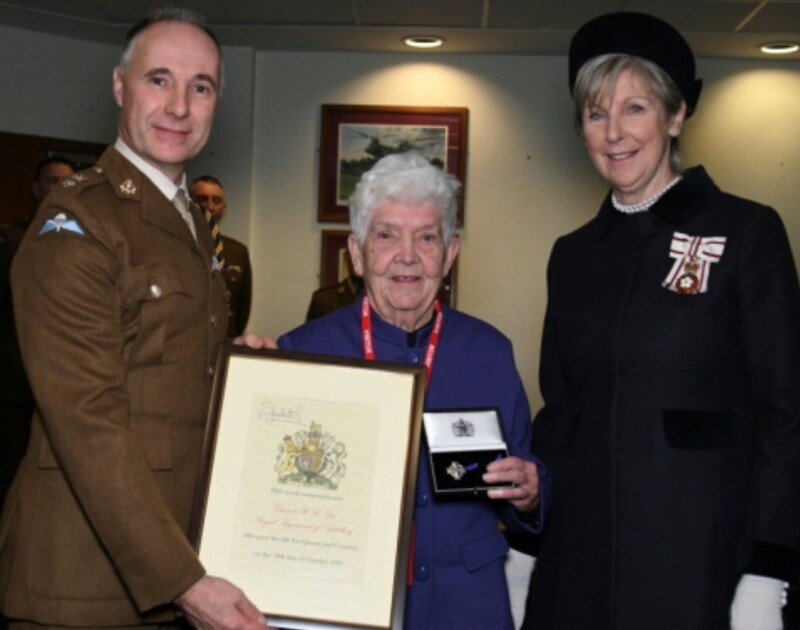 Where the Lord-Lieutenant is invited to present an award in a formal capacity, she does so on behalf of Her Majesty The Queen and the Royal Prerogative applies. Therefore, the Lord-Lieutenant or her representative, takes precedence over all other guests. If people are seated, it is usual for the host to arrange for the Lord-Lieutenant to be announced upon entering the venue, so that those present may stand to acknowledge her status. The person making the announcement should do so by saying: ‘Ladies and gentlemen, please stand to receive the Lord-Lieutenant’. Though no guest should leave a function before the Lord-Lieutenant, the Lord-Lieutenant of Essex is very relaxed and fully understands that busy people may have other commitments which necessitate their early departure. It is usual for the Lord-Lieutenant to be escorted from the function room with guests once again being invited to rise to acknowledge the Lord Lieutenant’s status. If you wish the Lord-Lieutenant to propose or respond to a Toast, or make a speech, prior notice should be given. Please provide, in writing, relevant details of any points you would wish her to make, with other requested information. The Lord-Lieutenant should be met at the entrance to the Church and escorted to the front seat on the right-hand side of the aisle. If she is accompanied by her husband he will stay with her at all times and be seated next to her. The congregation should be invited to rise at the Lord-Lieutenant’s entry and upon her departure. 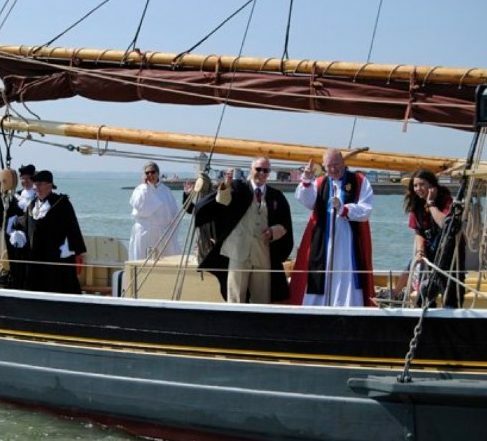 The Lord-Lieutenant should enter the church immediately before the clergy and withdraw immediately after. At funeral services, the Lord-Lieutenant will be received and seated according to the wishes of the next of kin. The normal protocol is for the Lord-Lieutenant to enter two minutes before the service begins and to leave after the family. Where the Lord-Lieutenant attends a Civic Service, consideration should be given to including her presence in the Order of Service. This will assist the congregation to identify her, as well as ensuring that she is permitted to leave before the other dignitaries. 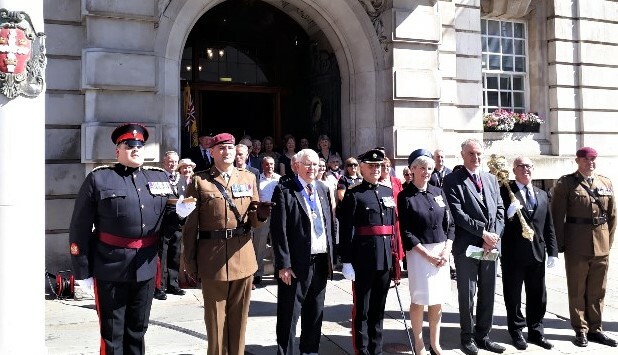 There will be occasions when the Lord-Lieutenant is invited to take the salute at a march past, either following a Service or at another formal event. It’s customary for the host to join the Lord-Lieutenant on the dais, although normally one pace behind her. The host should also salute or remove head-dress as appropriate.